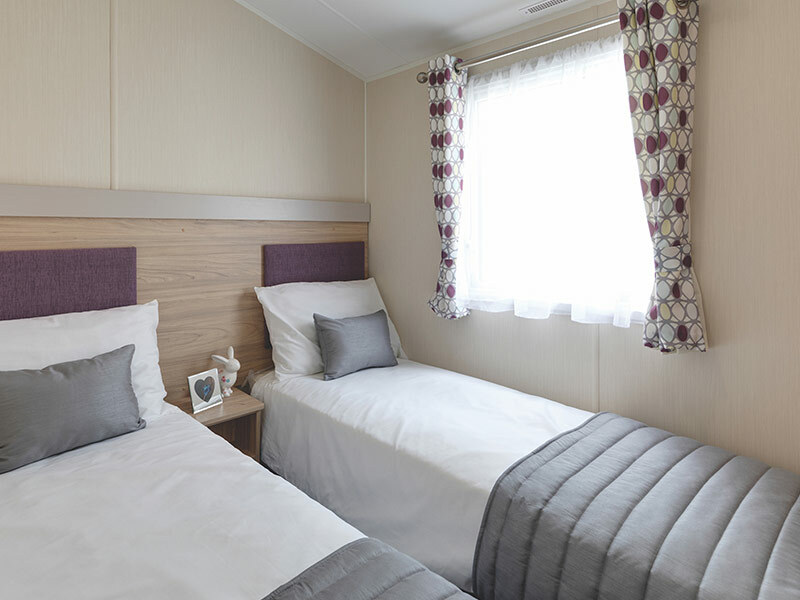 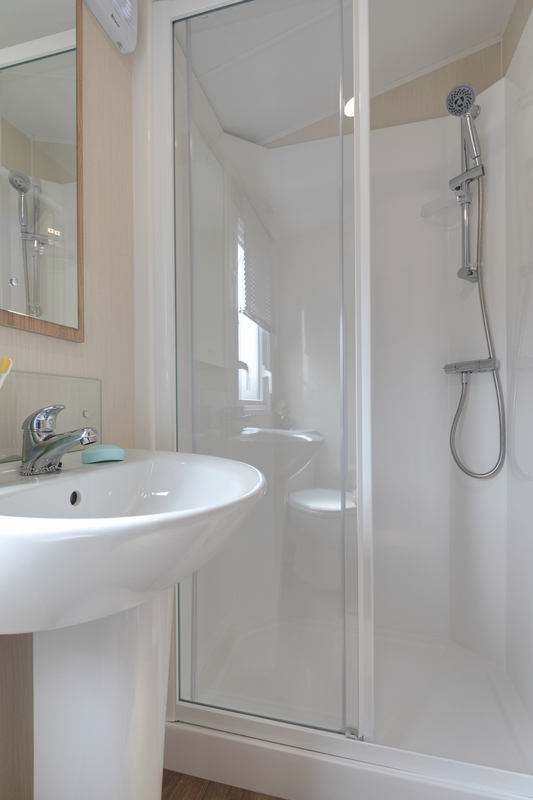 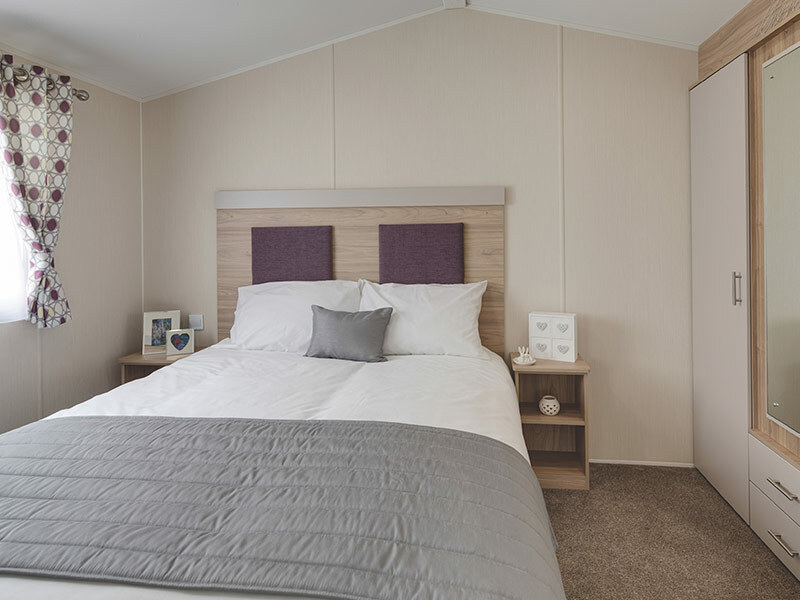 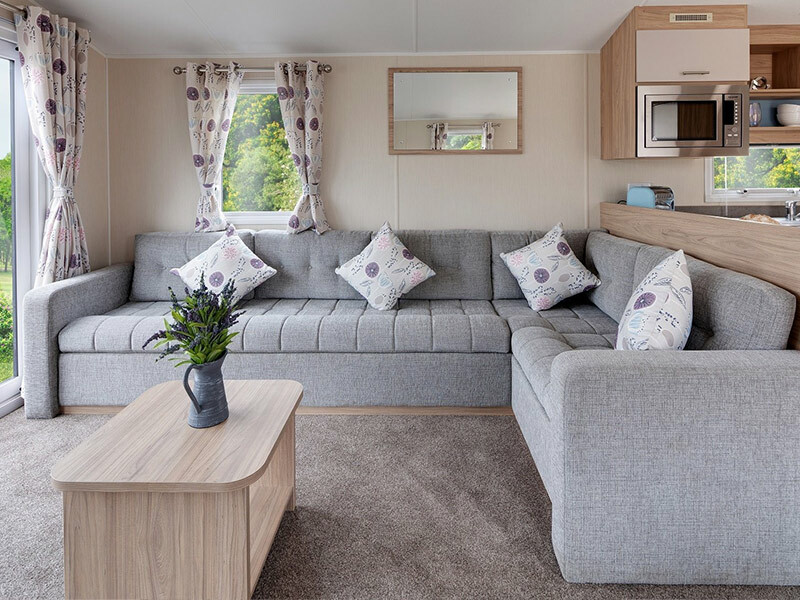 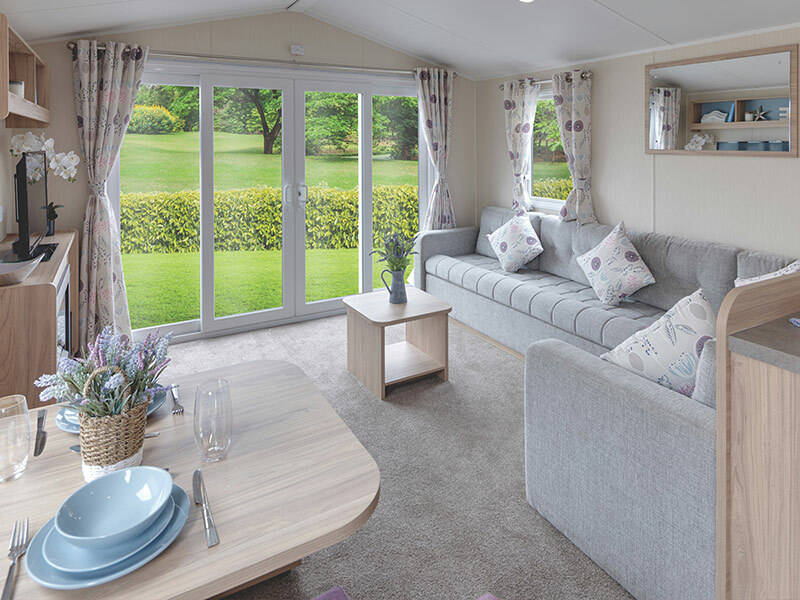 The Willerby Linwood is fresh and modern and takes what a first holiday home can offer to another level – the home has a spacious layout, stylish front aspect with double sliding patio doors and an abundance of storage space. 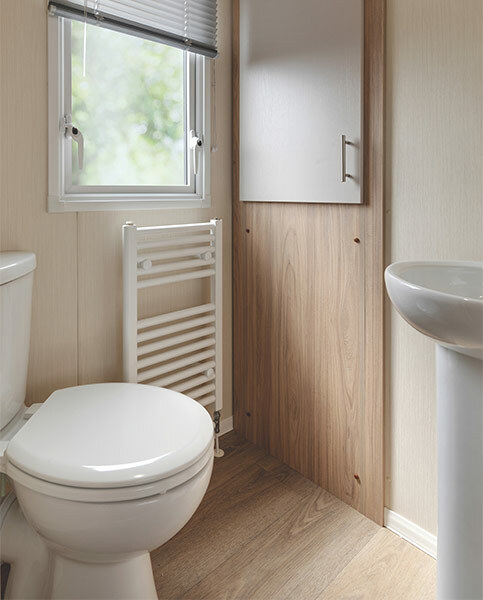 The home features energy efficient green PVCu double glazed windows and doors plus high-efficiency condensing combi boiler central heating system, electric fire and a wealth of other features. 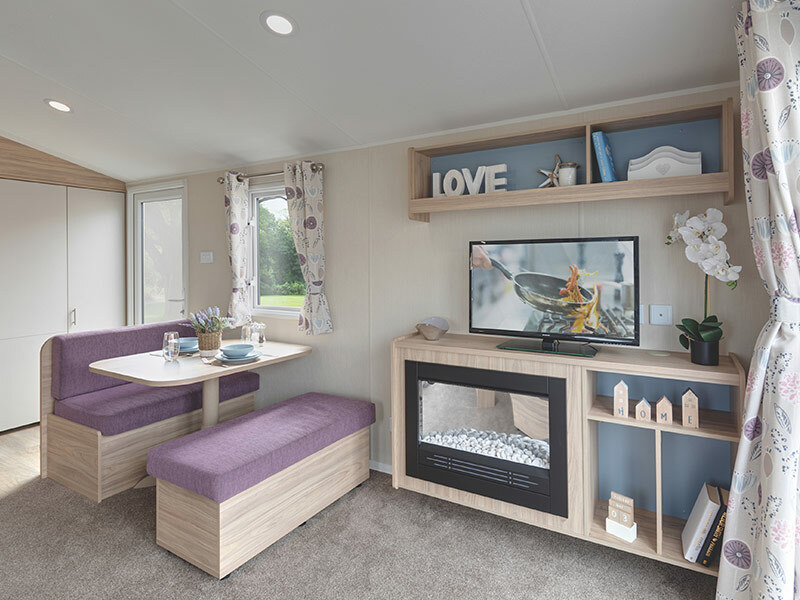 In the lounge, there is wraparound L-shape seating with scatter cushions and foldout bed, TV cabinet with integrated storage and coffee table. 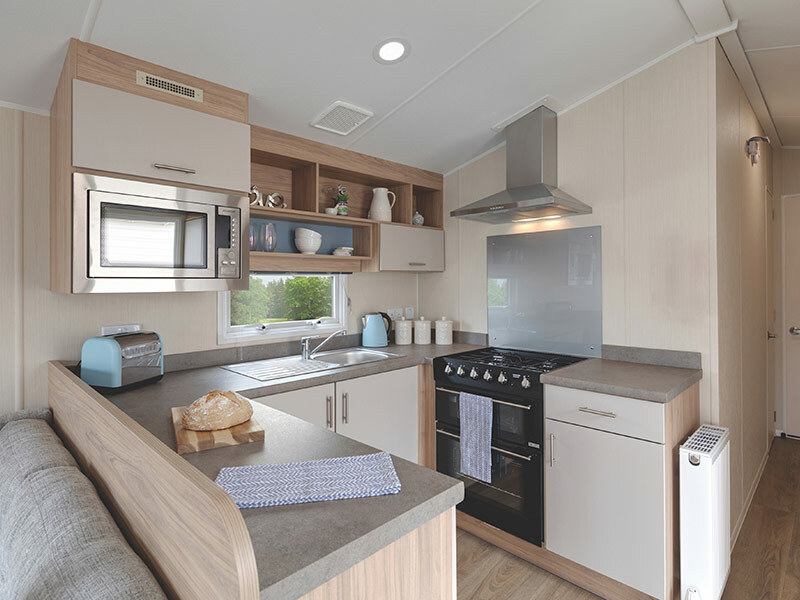 The kitchen has double cavity gas oven with hob/grill, splash back and integrated appliances (fridge-freezer, microwave and dishwasher). 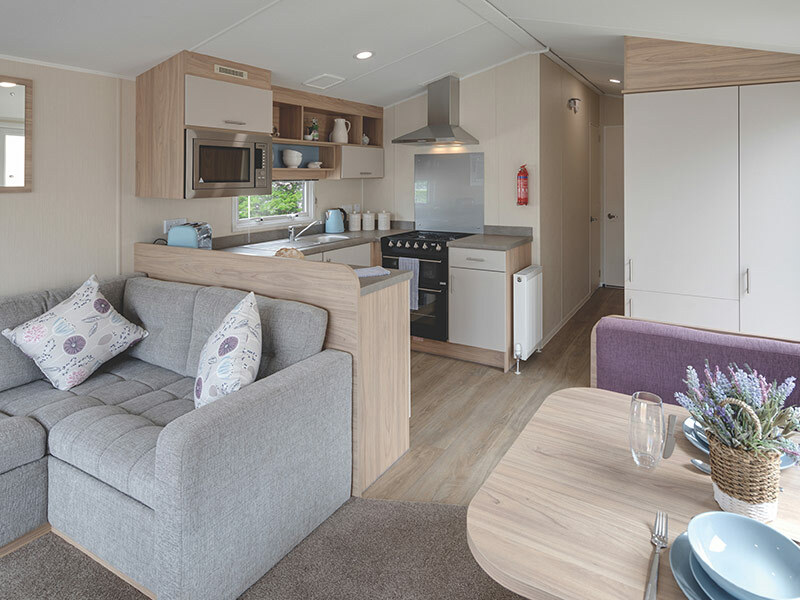 Adjacent the dining area has fixed dinette seating with freestanding pedestal dining table. 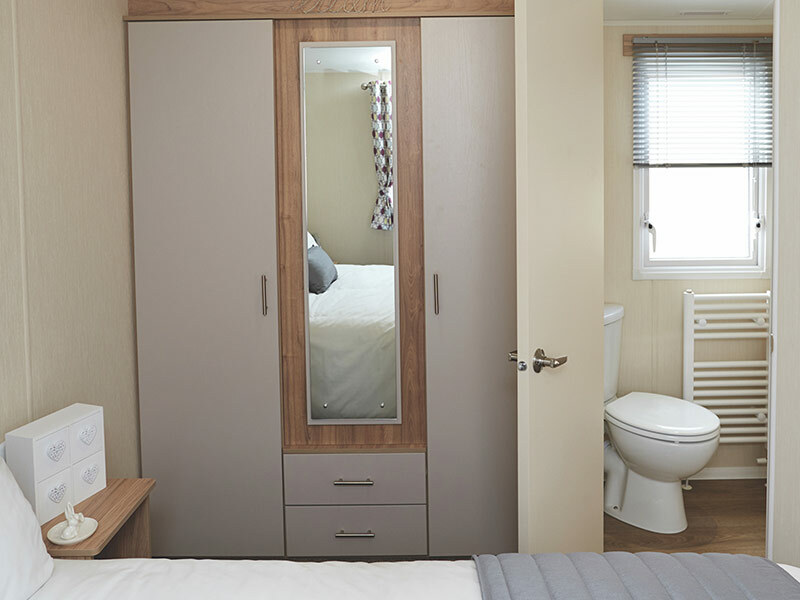 The master double bedroom (with en-suite toilet) has full-height wardrobes, bedside cabinets, mirrored dressing area and lift-up storage bed.